A worried mum has told of her horror after her toddler daughter was left hungover when she was accidentally fed an alcoholic drink. She said that her mum-in-law had assured her it was "just juice" and that there was absolutely no alcohol in it. In a post shared late last month, the mum recalled how they had gone for a Sunday lunch with her in-laws a couple of weekends ago. "My mother in law had some juice in a lemonade bottle that she told me she'd made herself. She gave me a glass and told me it wasn't alcoholic. I double checked this and she swore blind that it was just juice. "It tasted just like juice, nothing strange about it - and it was like 11am so I didn't think any more about it." 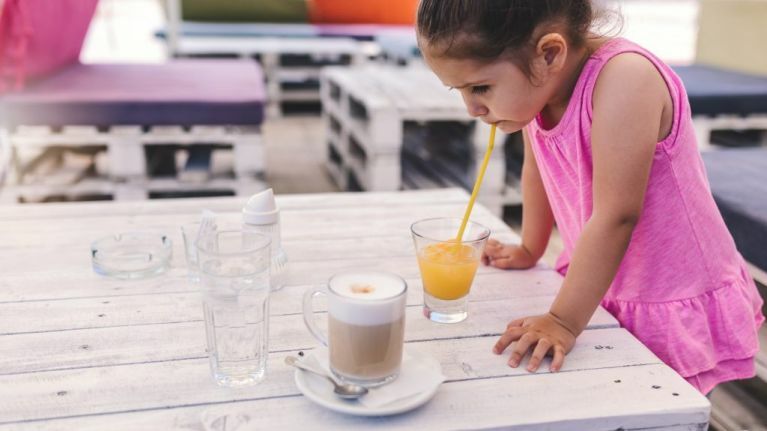 Her three-and-a-half-year-old daughter needed a drink later on in the meal and, since the mum had been assured the juice was non-alcoholic, she poured her daughter a glass. Her mum-in-law later revealed that the juice was actually 50 per cent tropical J2O and 50 per cent neat vodka - and the mum was horrified to learn she had poured her daughter a potent cocktail. The toddler wet herself twice that day and was really unwell the next day. "The whole next day my daughter was down in the dumps, didn't eat, had a headache, was dizzy and was generally too ill to go to nursery. "My husband was at work so when I told her she'd been ill all day (despite the fact she'd been up three times in the night and uncharacteristically wet herself twice the day of the juice) he alternately said it was down to her recent injections/me overreacting. "I had to flat out accuse him if gaslighting me before he accepted that maybe the whole situation was not ideal." She later clarified that her mum-in-law "didn't know" she had given the toddler the juice, and that she "really loves" the little girl. "I know she wouldn't hurt her on purpose but she just doesn't think sometimes," she continued. She added that her husband was making arrangements for their daughter to stay with his parents for a few days - and she wanted to know if she was overreacting for feeling uncertain about the idea. The consensus was that no, she wasn't - in fact, she was under-reacting according to Mumsnet users. "Do not let your daughter stay with them... I'm not a hysterical person, but seriously, that is so dangerous." "I cannot get my head around a grandmother allowing her grandchild to drink vodka. You can’t leave her there." "If she 'doesn't think' then she is not safe to have around a child. Period."